Last year I received a grant from the Surface Design Association to research photo emulsions. I have spent the year working with over a dozen different emulsions, with the artist’s working conditions in mind. My goal was to take most of the guesswork and failures out of this process, and to help artists set up a space that will work within their budget. 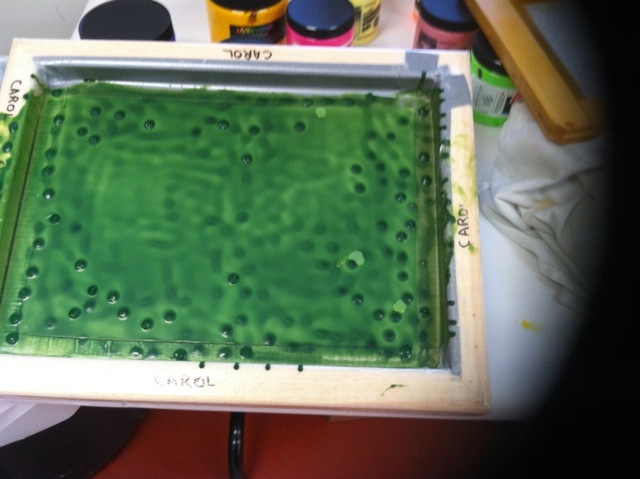 The focus of this hands-on workshop is to introduce and take the unknown element out of screen printing. Learn How to AVOID making mistakes for example a really bad coating job. The techniques covered in depth include: Photo Emulsion, Screen Filler & Drawing Fluid .The mediums to be used include: textile paints, thickened dyes, discharge paste, and foils, allowing time to print and explore what happens when the screens and various mediums are layered. 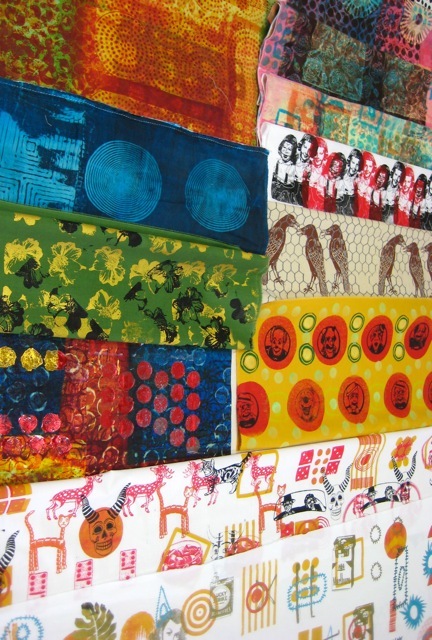 The first day will start with assembling low-cost silk screens that each student will keep. Techniques will be taught step by step, so that you are comfortable and understand each one. Time to print and explore what happens when the screens and various mediums are layered is an important feature of the class. 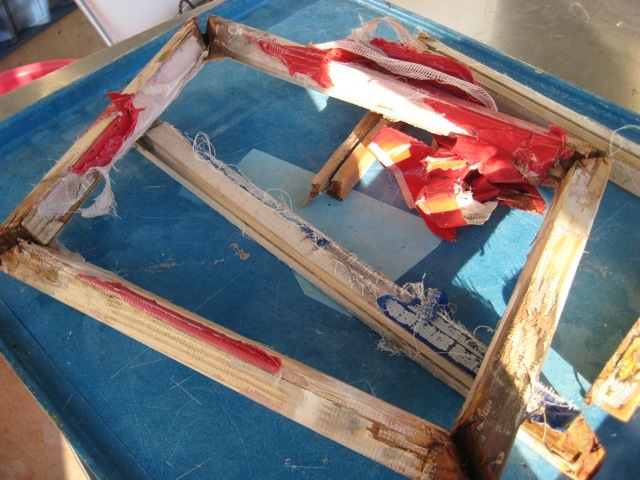 This example shows what happens when duct tape is used on a wooden frame . You will learn how to keep screens lasting longer & not rotting away. Other subjects that will be discussed are studio safety, how to use Photoshop to convert an image for screen print exposure and how to set up an exposure space. Last but not least, there will be time to print, experiment, push the techniques and troubleshoot. This entry was posted in Classes, Member Spotlight and tagged photo emulsion, screen print, screen printing, Surface Design Association, Wendy Huhn.